For those small, easy-to-lose things like earrings, pearl buttons, and other tiny treasures. 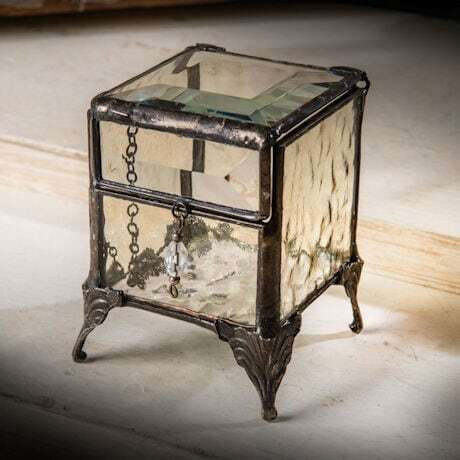 Crafted from 7 cuts of lemon-colored and clear art glass, joined with lead-free solder, box stands on its own four little feet and comes with a safety chain. 2"w x 3"h x 2"d.